Heather Williams learned to sew as a child growing up in Montgomery, but it wasn't until her college years that she realized she could make a living with a needle and thread. While earning an MBA at Samford University in Birmingham, Heather won an entrepreneurial contest and used the $7,500 award money to start her own fashion line. Now, her Tallulah's Designs features miniskirts, mod dresses with sweetheart necklines, and chunky beaded necklaces. 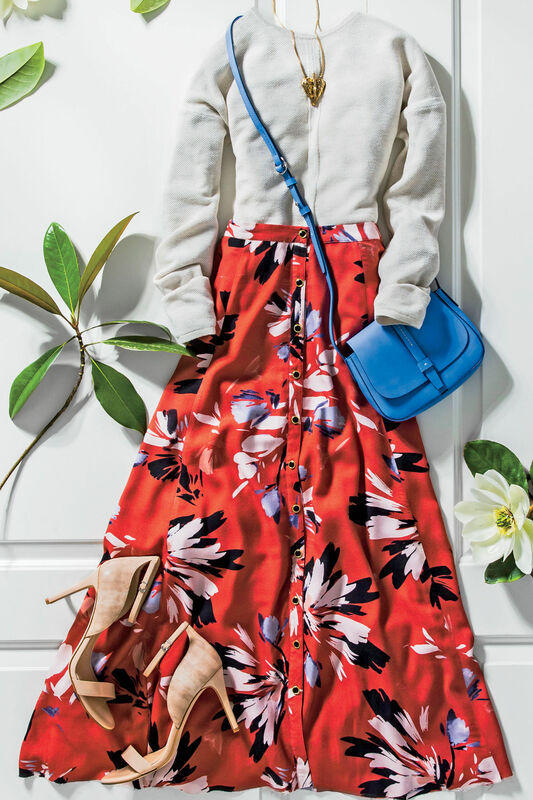 This spring, her "Gidget Goes to a Garden Party"-themed collection (a nod to the spunky 1960s surf movie character) is featured in boutiques in New Orleans and Birmingham. Prices range $100-$300. Here, Heather shares a little insight into her chic and feminine line. Where do you get your fabrics? "I spend a lot of time in thrift stores and at yard sales looking for vintage pieces and materials. I have mounds and mounds of sateen, velveteen, taffeta, and seersucker in my studio." Where are we wearing Tallulah to this season? "I want my clothing to become part of your everyday life, so it doesn't necessarily have to be worn just for a special occasion." What's in a name? "Tallulah' is a Native American word that means 'leaping waters.' I chose it because the girl who wears my clothing is very effervescent and energetic." Love it! Tell us about the process of making each piece. "A new design takes hours to create. I sketch the pattern, cut out a sample from muslin, and sew it. Then I take it apart and continue the process with the real fabric until it's perfect." Let one of these little numbers get you through the garden party season!